Father Vincent R. Maffei, a priest of the Archdiocese of Boston since his ordination on Feb. 6, 1964, died on Jan. 31, 2019, at Massachusetts General Hospital in Boston. Born in Winthrop on May 16, 1938, he was raised in Orient Heights, one of the five children of the late Vincent and Eleanor (Statuti) Maffei. He was an alumnus of the prestigious Boston Public Latin School, Cardinal O'Connell Seminary, Jamaica Plain, and St. John Seminary, Brighton. Richard Cardinal Cushing ordained him at Holy Cross Cathedral and gave him his first priestly assignment as an assistant at St. Mary, Plymouth. Between ordination and late 1968, he served not only at Plymouth but also at Blessed Sacrament, Jamaica Plain, and St. Colman, Brockton. He was for two years chaplain at Mount St. Joseph Academy, Brighton, before being named associate at St. John the Evangelist, Winthrop. In October 1974, he was named an associate at St. Timothy, Norwood, where Father Joseph Ruocco was the pastor. In December, of that year, Father Ruocco was named an auxiliary bishop of the archdiocese, the first Italo-American auxiliary of the archdiocese. When Bishop Ruocco was named Regional Bishop of Lowell Region, Father Maffei went with him to Lowell as his priest secretary. He was also named associate at Lowell's St. Patrick Parish. Not only did he handle much of Bishop Ruocco's office matters, but he also accompanied the bishop around the region on parish visitations and around the archdiocese for confirmations. He was an accomplished storyteller and regaled priests with stories -- factual and mythical -- of archdiocesan matters. Following Bishop Ruocco's unexpected death in 1980, Father Maffei remained in Lowell in 1983 when he was appointed to the staff of the Metropolitan Tribunal, serving variously as auditor, advocate and tribunal judge. He was especially proud of being named a judge as he had no canon law degree, but as he boasted "he was given a field promotion -- like a 'field' marshal." Gregarious and outgoing, he was comfortable in company of priests and people alike. During his ministry at the tribunal he was in residence first at St. Anthony of Padua, Allston, and then at St. Ann, Neponset. 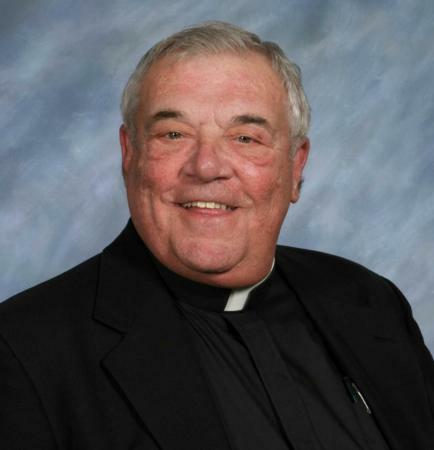 In January 1992, Cardinal Bernard Law named him as pastor at St. Martha Parish in Plainville; and in 1998 at St. Mary Parish in Randolph where he served until he was granted senior priest/retirement status in November 2008. He remained in residence in Randolph until 2013 when he moved to Regina Cleri Residence, Boston. Father Maffei's Funeral Mass was celebrated in his old neighborhood at St. Lazarus Church (St. Joseph-St. Lazarus Parish), East Boston, on Feb. 7, 2019. Father Thomas Walsh, senior priest of the archdiocese was the homilist. Following the Funeral Mass, Father Maffei was buried in Holy Cross Cemetery, Malden. His immediate survivors are his siblings: Lorraine Monahan, Dennis; Thomas Maffei, Melrose; and Ann Wholley, Peabody.